BUY YOUR 6.8 SPC IN BULK AND SAVE!!! This Sellier & Bellot 6.8 SPC is loaded with a more cost effective FMJ projectile. This cartridge loaded with FMJ bullets is less costly to produce and as a result it makes a great training round for when you're looking to put some serious lead down range without breaking the bank. 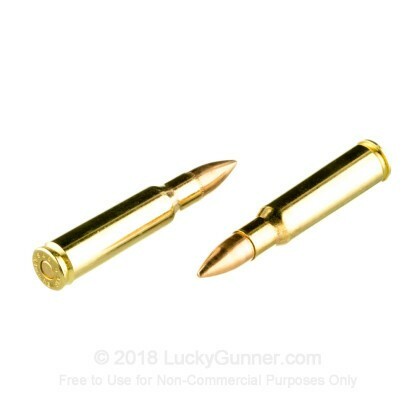 This ammo is perfect for target practice and range training. It is manufactured by Sellier & Bellot which has been producing ammunition since 1825. Today they produce ammunition using high quality components which is used by hunters, competition shooters, law enforcement agencies and militaries around the world. This product is brass-cased, Boxer-primed, non-corrosive and is reloadable. It is both economical and precisely manufactured by one of the oldest European cartridge producers. Best Ammo for 6.8 for practice and target shooting!!! This is very good quality stuff, 2000+ rounds and not one misfire! 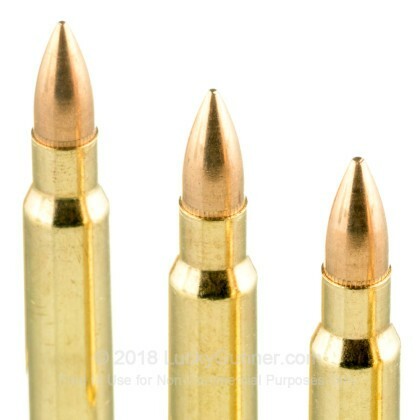 Excellent brass for reloading too!! Always happy with your products and quick service as well as great prices. 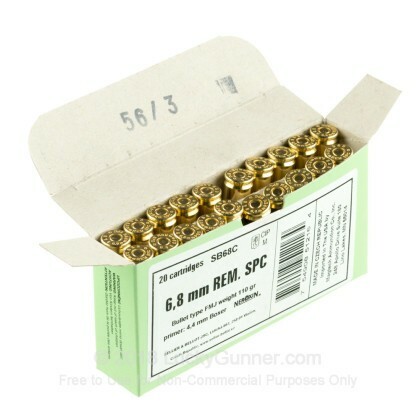 The 6.8SPC Sellier and Belloit ammo is, in my estimation, the best value out there for target and plinking ammo, bar none !!!! It's not match grade, but I can still shoot sub MOA at 200 yards with this ammo out of my 16" barrel AR15. 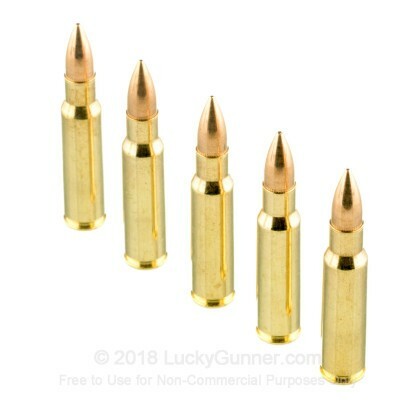 The added advantage to this ammo is the brass itself, as it is some of the most consistent as far as neck runout and neck thickness, and since I'm a reloader that's very important to me. Best price I've ever seen. Makes shooting 6.8 reasonable. Q: How fast is this round? I've got an AR and 2 uppers for it (300 blackout and 5.56 NATO). 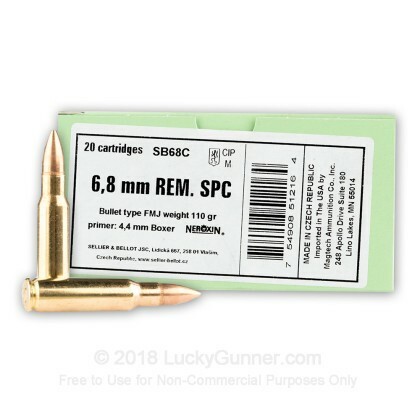 I enjoy shooting both, but I'm curious about the ballistics of the 6.8 Rem SPC. A: Hello Marcus! The muzzle velocity on this round is 2549 fps with a muzzle energy of 1587 ft. lbs.